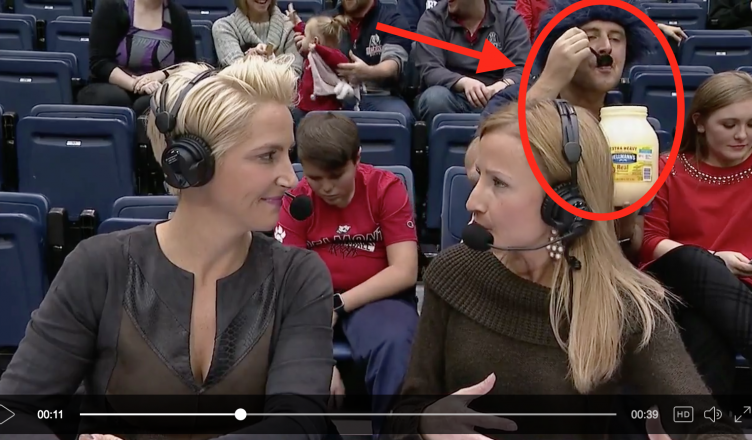 A Bruins fan at Thursday’s UT Martin-Belmont women’s basketball game sat behind the announcing table and downed spoonfuls from what appeared to be an enormous jar of mayonnaise. But was the mayo boy actually eating mayo? You know, we had some concerns that Nashville had gotten a little to normal in the last few years, but then this happened.